We live in a stressful world, and more often than not, we don’t know how to manage it. Work, family, and regular daily commitments cause plenty of stress on their own, and the stress is exacerbated by perceived crisis situations that emerge from time to time. A common mantra these days is “I’m totally stressed out!” Thankfully, Kundalini Yoga offers plenty of tools for managing stress. In fact, stress management is a wonderful side effect of a consistent Kundalini Yoga practice! It’s important to understand that stress is a condition, not an illness. Too much stress begins to affect our thoughts, behaviors, and even our physical health. 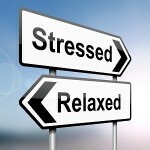 Over time, stress diminishes our vitality and reduces our ability to enjoy life. But once we learn to recognize the things in our life that trigger stress responses, we take an important step toward managing our stress. We can then turn this awareness toward understanding our “stress personality”, our ability to master stress and stay steady. Through Kundalini Yoga and Meditation, we can effectively manage our stress personality and act authentically even when faced with very stressful situations. Many Kundalini kriyas directly address stress. 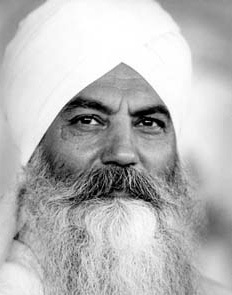 Yogi Bhajan taught a very simple meditation called “Meditation to Alleviate Your Stress” (also called Eight-Stroke Breath for Energy and Stress Release). 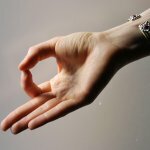 Sit with your eyes closed, hands in Gyan Mudra or any other comfortable position. Inhale through the nose in 8 equal strokes, and then exhale through the nose in one deep and powerful stroke. Practice for 11 minutes, and end with three long deep powerful breaths, holding the breath in for 10-20 seconds each time, and rolling the shoulders as fast as you can during the final breath. While pranayam and meditation are very important for managing stress, don’t overlook the power of Kundalini Yoga kriyas to help as well. The physical effects of the exercises pressurize the glandular system, creating a physiological response that counters the effects of stress. Kundalini Yoga also strengthens the parasympathetic nervous system, our “rest and digest” mode, which counteracts the “fight or flight” response that is triggered when we’re under stress. For example, Yogi Bhajan taught the Pittra Kriya, found in the I Am a Woman manual, to not only release stress but to also balance the chakras and therefore help us build the internal strength to face whatever challenges arise so we can maintain our vitality. A little stress is not a bad thing, and one way that Kundalini Yoga kriyas help us learn to manage stress is by challenging us in stressful situations (like holding our arms up for 3 minutes or more!). When we successfully meet these challenges, we provoke a healing response in our bodies. We survive and adapt, and become ready to take on another challenge—without stressing out. In this sense, almost ANY Kundalini Kriya will help manage stress with a regular practice. It’s also good to look beyond the yoga mat. Exercise is a very effective tool to combat stress. When you notice your stress responses emerging, stop what you are doing and take a walk or do something physical that you enjoy, like biking, running, or lifting weights. If you don’t have a regular exercise routine, start gradually and build up. Moderate regular exercise can increase the relaxation response, and the lack of physical exercise contributes to many chronic diseases. As you begin to understand what triggers your own stress responses, you will find the tools to manage it. Don’t put it off! Managing stress is easier than it sounds, and thanks to Kundalini Yoga and Meditation, the tools are widely available. 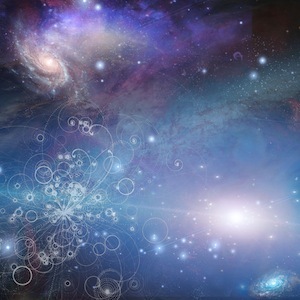 Wishing you much love and light. Sat nam.